Robin Elizabeth popped up in my Twitter feed several years ago and adds a bright spot of conversation to it nearly every day. So when I was looking for someone to talk to about self-publishing, I thought of her immediately. Her memoir, Confessions of a Mad Mooer, explores what happens when a mum keeps saying she isn’t coping but nobody will listen. In her brutally honest memoir, Robin shares her story, rants a little bit, and basically tries to shatter the stereotype that postnatal depression means you don’t smile or play with your baby. Today, Robin shares her self-publishing experience with us. 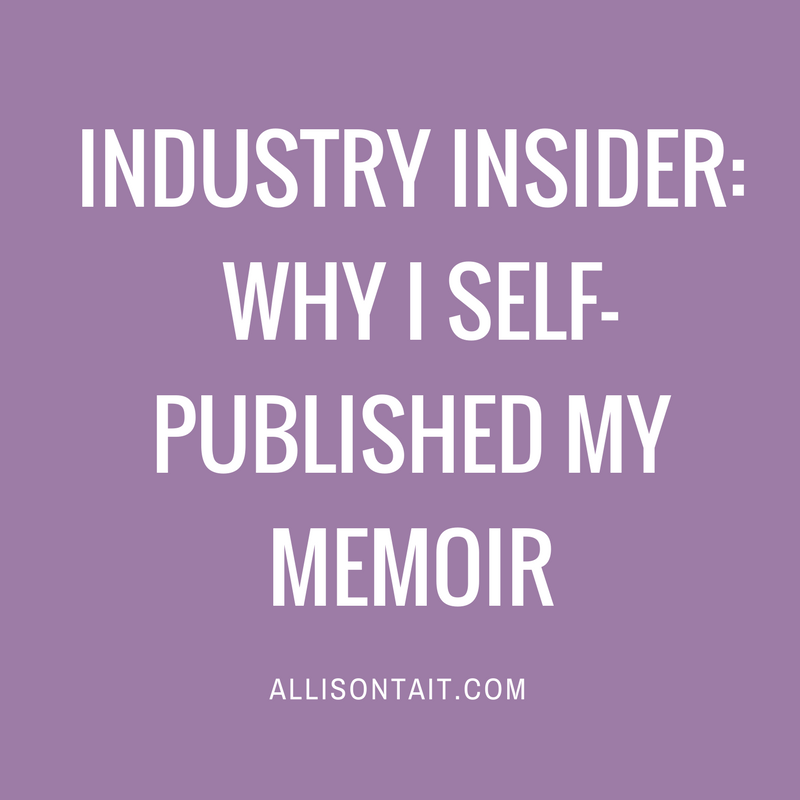 AT: Why did you decide to self-publish your book? Robin Riedstra: “To be honest, I had a very specific purpose and audience for the book and I didn’t want to compromise on that. I wanted it to be appealing and accessible for mums with new-born babies. Which meant I wanted it to have a seriously beautiful cover, that tired women would see and just go “yes, that me.” So I hired Sally Walsh of Sillier than Sally Designs to give me the exact cover I wanted. Traditionally published authors warned me that the cover wouldn’t pass in a traditional publishing house because it was too “busy,” but everyone compliments the cover, so I know I definitely nailed it. “I also didn’t want to compromise on the message. I’ve been to hell in my own brain. I know exactly what the exhaustion feels like, I know the thoughts, I know the things to look out for intimately. It’s part of who I am now. I wanted to make sure that this didn’t get sanitised to keep in with the way with some people like to portray mental illness. I didn’t want key things washed away and I didn’t want the content to become overly poetic and unintentionally glorify depression. Depression is messy, and ugly, I don’t want people romanticising it. The book is based on a series of blog posts you wrote while actually in hospital – what was the process of turning those into a book-length narrative? RE: “I am absolutely sure that there is a more streamlined way of doing this than the way I did it, but I’ll share what I did. First off, I must admit I didn’t come up with the idea. I had slumped into another deep depression in 2015. My medication ended up needing to be changed to a higher level of anti-depressant, and I didn’t just have writers’ block, I had life block. My friends Lisa Fleetwood, author of Destination Dachshund, and Helen Petrovic, of the popular High Fantasy Addict blog, could see how badly I was struggling and that my inability to write was further exacerbating my condition. They suggested that I already had a lot of stuff written on PND in my blog so why didn’t I try turning that into a book. I was really excited by the idea because that seemed quite manageable and like something I could do in my depressive state. Given that it’s an intensely personal, irreverent memoir, did you install any checks/balances in the process? RE: “I asked my husband to read the memoir many times, he declined, so I asked my friends Helen and Lisa, the same ones mentioned above, if they would read it and they were willing victims. I also had my psychologist take a look at an early draft to get her opinion on it. “A lot of the women I had been in hospital with are regular followers of my blog and knew all of the old stuff already and I was careful to detail that the experience was my own and not drag them into it. That was one of the things I had in mind from the start. I wasn’t there to “out” anyone or speak for them so I deliberately hadn’t described them and I never name them. You’ve produced the book both in digital and print form, whereas many indie-published books are digital only. Why did you choose to create a print version and was it difficult to organise? RE: “I have actually been that indie author who has done digital copies only. I have a serialised commercial women’s fiction work that is in just digital format. They’re novella length and I think the subject matter and length lends itself well to digital. “With Confessions I wanted mothers to be able to access it any way they wanted. I wanted to make it easy for them. If they want to read it in digital, great it’s ready, if they want it in paperback, it’s there for them. It’s also why I went wide with my ebook distribution. I knew it meant that I couldn’t go into Kindle Select and use all the tricks to get it onto the best seller list, but I felt that the message was more important than a tag and I wanted people to be able to get it as quickly as possible. That’s why it is available from most digital providers and on-line bookstores. What was the steepest learning curve in the self-publishing process for you? RE: “I have no idea about media releases. You’re apparently supposed to do those. I didn’t. My next book, which is coming out at the end of the year will have one… I hope it will. “For me, thinking outside of that narrow focus of purpose and who I want to communicate with is definitely the part I am finding difficult. I am not business minded by nature so it has been quite challenging for me.Also, thinking about awards, I didn’t do that at all. I submitted it for nothing because it just didn’t even occur to me to do so. You’re very active on social media, you blog and you’re incredibly supportive of the Australian publishing industry as a whole – has that been a conscious step to help build an author platform? 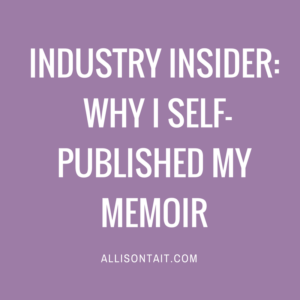 RE: “I wish that it was and that I could give people really good business tips on how to build your author brand but, unfortunately, I’m just an impulsive sort of person. I remember the first time I heard Walter Mason, author of Destination Saigon, talk and he said, “Bring the spirit of fandom to Australian literature.” Prior to that I had always wanted to do something to support my passion, which is books, but didn’t know how to beyond buying books, which I do, but have budget constraints. As soon as he said that it was like a cartoon light-bulb went on above my head. “You see, I’m a geek at heart, I’ve admined on some massive Doctor Who pages in the past and still admin a fairly successful “geek” group with around 10,000 members, so I know fandom. I know how to put a meme together. I know how to tweet about how much I love stuff. The notion of fandom suited me perfectly. Do you have three tips for anyone considering self-publishing their book? Hire fantastic editors and cover artists. Doing courses and attending festivals helps you learn who the good ones are. The good ones are expensive but they are so worth it. I’m dyslexic, that’s okay for my approach to blogging, but I can’t even sneeze on a published page without clearing it with three editors. Think about marketing! I really should have. And now I have to play catch up. And I hate running. Know what awards you should apply for. I am big into the Spec Fic scene so know most of the relevant award cut offs for those but for the other, I know almost nothing. I have an English degree so I know of the awards, but not when or how to apply. Know this stuff. Back yourself, if you’ve had the tenacity to get it into print then value it enough to put it forward for awards. I really wish I had. Don’t live with my regrets. Be a lot smarter about it than me. And honestly, you and your work deserve the care and consideration. Back yourself. Robin Elizabeth is an Australian writer, ranter, reviewer, dyslexic, twitter addict, and definitely a mad mumma. She blogs at Write Or Wrong about her love of Australian literature, depression, and whatever tickles her fancy bone. You’re most likely find her procrastinating away on Twitter, so feel free to say hello (and tell her that she should be writing – because she should be, she really should). You’ll find more information on her memoir here.